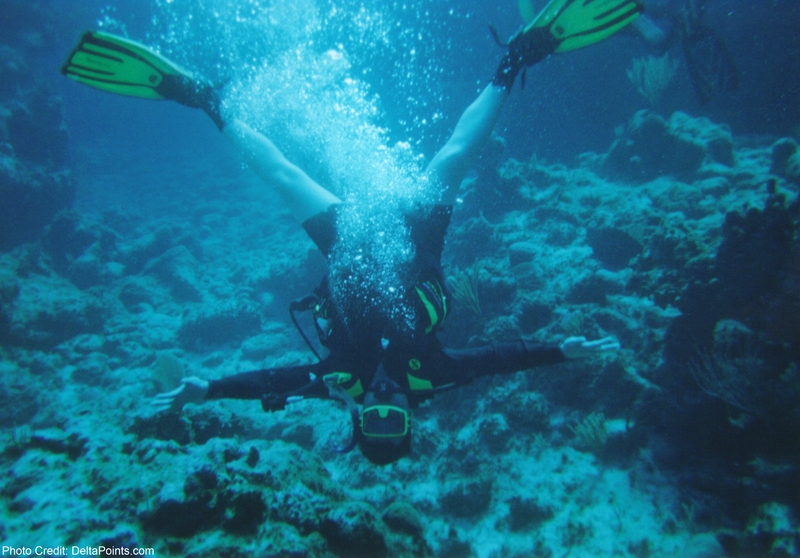 Just how good is diving in Grand Cayman? Really good! 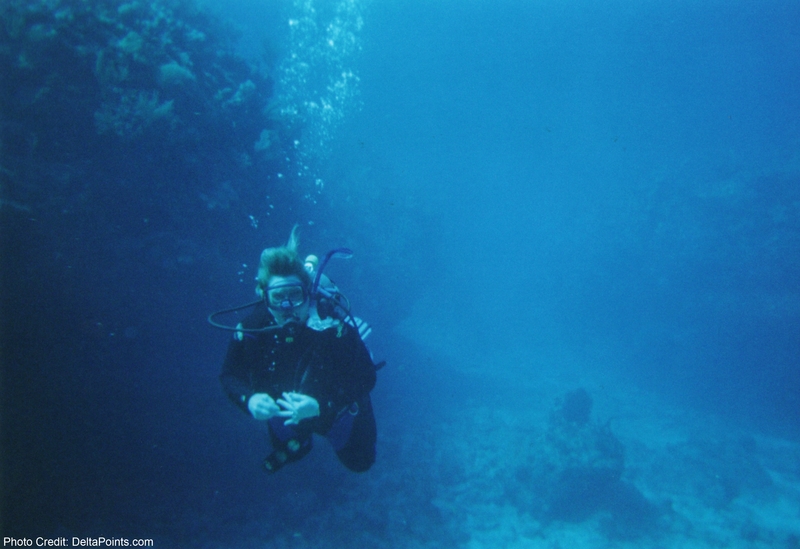 While I was out Sunday buying points, we went to pick up the photos from our disposable underwater cameras from our Grand Cayman trip. The first thing we learned from this, after one of the three failed and filled with Caribbean water, is that next year we need to upgrade to a good GoPro unit that can do things like you see below (would love feedback if you have one please). We dove with an outstanding outfit called Tortuga Divers, part of Red Sail Sports. 9 out of 10 of our dives were with the East End group and they were all top notch divers. 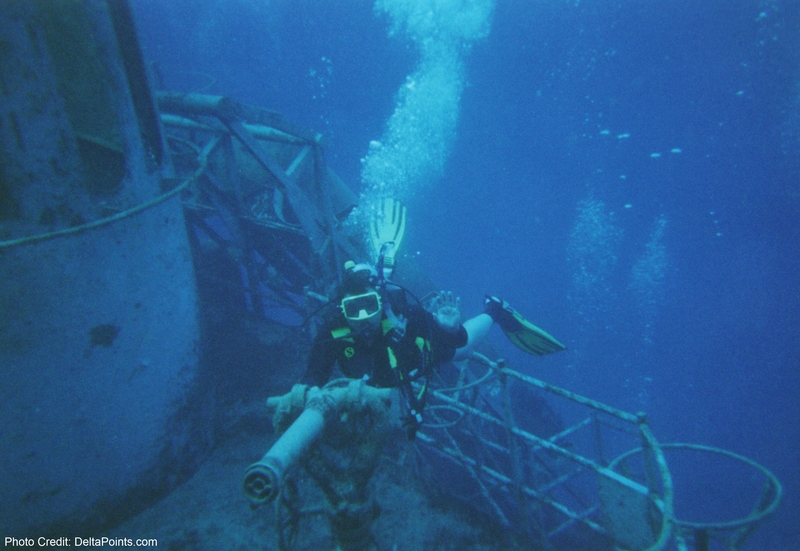 From Doug (our dive master below), to Fozz & Caz & Dave & Debbie & Yoggi. After two weeks they became like old friends and were not just nice, but very professional and we felt 100% safe in their hands. We did several shallow dives and the clarity of the waters in Grand Cayman is truly unreal. It is hard to fully appreciate it in these clips, but often we could see for 100 feet no problem (no matter what your orientation at the time). 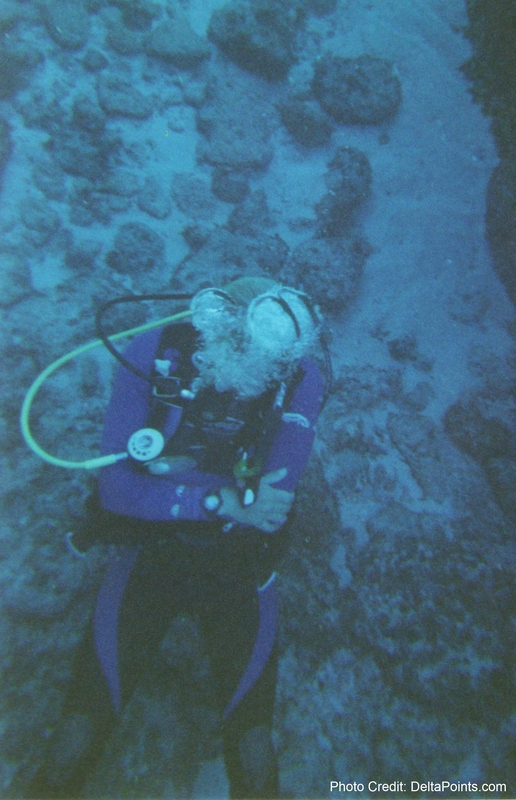 We also did two deep dives to 100 feet along a wall and had a blast swimming with a turtle along the wall. Unfortunately the camera did not care for 100 feet and got very wet and corrupted the film. The water temperature was 75-80º no matter how deep we were. I wore a “shorty” and Lisa a full suit most days. When you are down for 45 minutes or longer it is nice to be really warm (no Lisa I will not pull your finger 🙂 )! 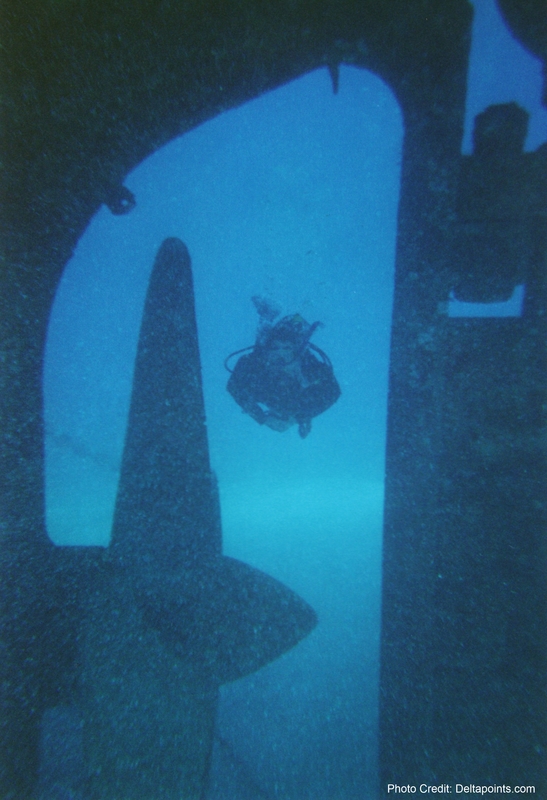 If you have never been scuba diving, the sensation of flying is truly unique! To be able to just go up and down with the control of your breathing is very kool & I like staying just off the bottom as we go. This was the first ever wreck dive for Lisa & I and it did not disappoint (but the crew did a bit – east end gang was way better)! As you can see from Lisa doing a swim through by the propeller, this ship is just huge and seems much bigger that the 251 feet it is. 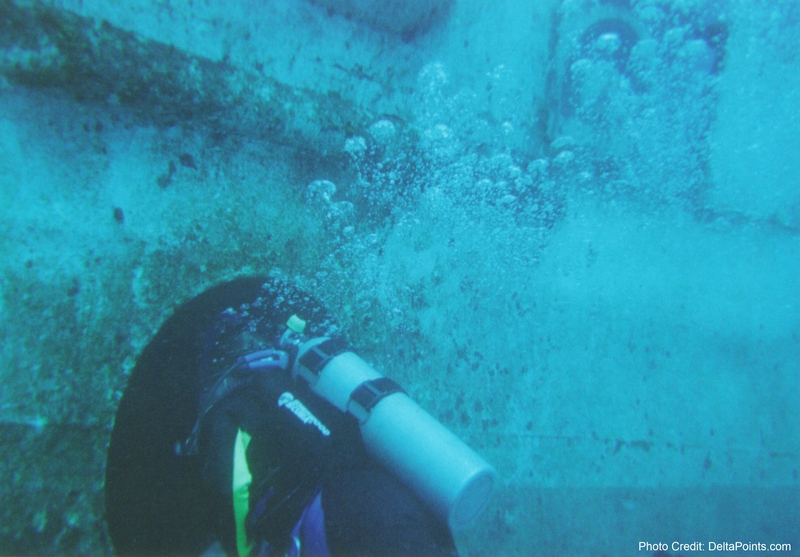 We spent half of the dive following a dive master and then the rest of the air we had left it was up to us to explore inside and outside the ship. Overall an amazing experience and I cannot wait for my next such dive. We ended the day, as we did most days, with “Mr. Jonathan” from Morritts bringing us great 2 for 1 rum punch while we filled out our dive log books (we are almost at 50 dives now, a mark I am proud of). I promised one last update about the trip with dive photos and here it is. I am just stunned what you can do and see and pay for with points. Delta Skymiles for the trip down & Ultimate Rewards for the resort and diving. Unreal! 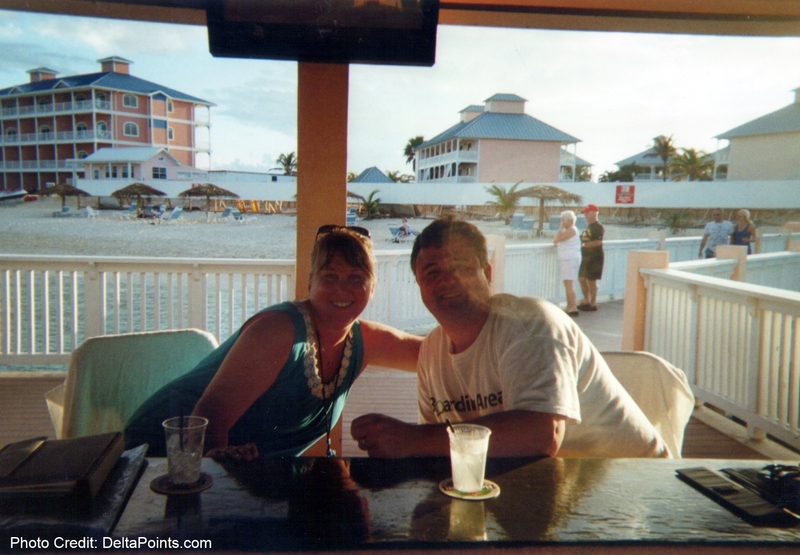 ← 100,000 POINT AMEX Membership Rewards Card offer – TARGETED! Amazing pictures! 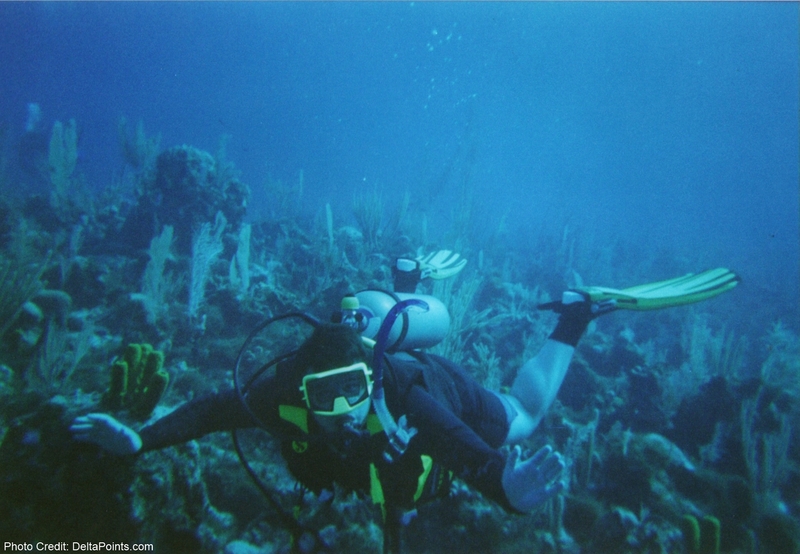 I’ve been diving for a while, but the waters of the Cayman are still on my to do list! It looks amazing. 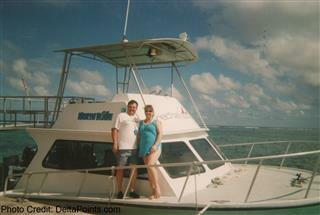 Have you been to Roatan in Honduras or Isla Mujeras in Mexico? If so, how would you say the dives compared to GC? Thanks. Nice pics! 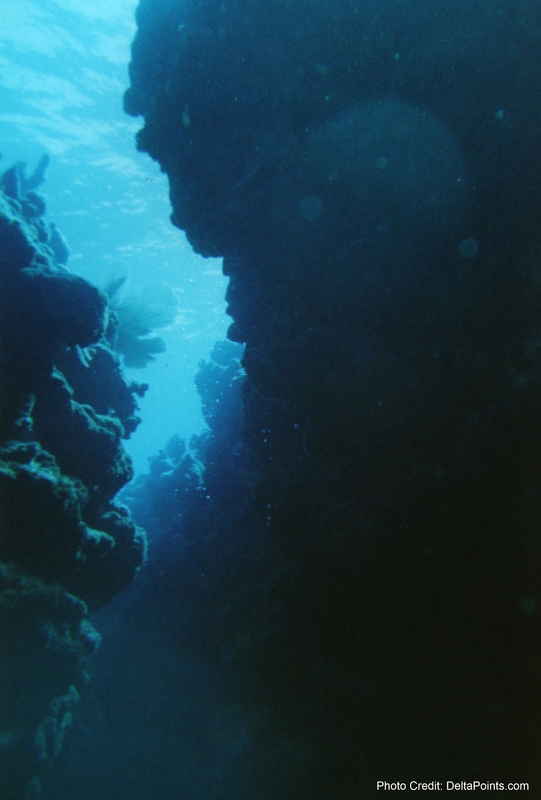 It almost tempts me to want to try diving again. Thanks again for the mention and awesome Ridiculous Street Signs photo!